Dental treatments can be used to address pretty much any oral issue you can think of. There is no need to constantly have to worry about what others think about your teeth or deal with the pain and discomfort associated with cavities and such. Your dentist has many tools and treatment options available at his/her disposal, and a simple visit to the dentist's clinic is often all it takes to restore your smile and the integrity of your teeth. The dental treatment your dentist decides to go with depends on your particular situation. Fillings are typically the first line of defense against one of the most common dental diseases, tooth decay. When acids – from bacteria in your mouth – break down the enamel, the result is a hole in your tooth. This hole is known as a cavity and it can lead to a toothache and gum sensitivity. To make things worse, food particles tend to get stuck in these cavities, leading to further tooth decay and, eventually, an infection. If professionals detect cavities early, fillings can fill up the hole. A few decades ago, fillings consist of metal alloys, but composites are now often used and these blend right in with your natural teeth. Dental crowns can often protect broken or otherwise damaged teeth. They act as covers that surround the entire tooth. Crowns can also work in conjunction with implants or dental bridges (they act as anchors for the bridge). These devices often consist of porcelain, gold, or other metals. Tooth extractions are a procedure that most people dread even though there is not much pain. An extraction is the removal of a tooth from the socket in your jawbone. Extractions commonly address broken teeth, severely decayed teeth, and wisdom teeth. While extracting wisdom teeth is quite common, it is generally the last option for other issues. If you want whiter brighter teeth, your dentist is the best person for the job. Dentists have access to a wide range of whitening and bleaching agents that are a lot stronger than products you might find at the grocery store. You can expect to get visibly whiter teeth with a single visit to the dentist. Root canals are another common dental treatment that dentists perform. Root canals can address an infected tooth due to tooth decay. The procedure is rather straightforward. Your dentist starts by apply local anesthesia to the area around the tooth. The dentist then drills a hole in the tooth to remove the infected pulp and the nerves with a series of files. The dentist then applies medicine to the tooth and seals the hole. A crown is then placed on the tooth to protect it from further damage. These are just a handful of procedures commonly performed by dentists. Schedule an appointment if you need one of these dental treatments. 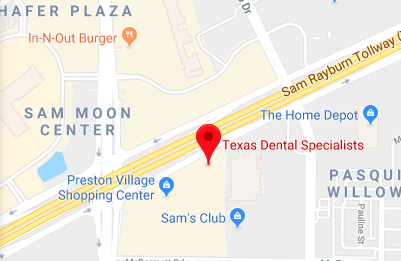 Request a dental appointment here: http://www.texasdentalspecialists.com or call Texas Dental Specialists at (214) 619-6329 for an appointment in our Plano dental office.